“Today, we celebrate our Independence Day!” The immortal words, spoken by President Thomas Whitmore (Bill Pullman) before the climactic fight sequence at the end of Independence Day, rally his ragtag group of troops to save the world from alien invaders. In July, we not only celebrate our real life Independence Day, but also the film’s anniversary - the blockbuster movie hit the big screen on July 3, 1996, breaking several box office records in the process. Though it employed heavy special effects and elaborate sets, many of the locations that were featured are real. Shot across the U.S. in cities such as New York, New York and Wendover, Utah, several L.A. spots also made an appearance. Read on for eight Los Angeles locations from Independence Day. As Independence Day opens, First Lady Marilyn Whitmore (Mary McDonnell) is not in Washington, D.C. with her husband, President Whitmore, and their daughter, Patricia (Mae Whitman). 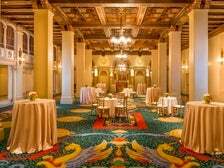 She is in Los Angeles attending a luncheon at one of the city’s most iconic, historic and oft-filmed locales, the Millennium Biltmore Hotel. Several areas of the 1923 property were utilized in the shoot, including an upstairs hallway, an 11th-floor room, and the rooftop heliport. Most notably, it is while standing at the top of the steps leading to the hotel’s dazzling Rendezvous Court that Marilyn receives a phone call from her husband urging her to leave town immediately. 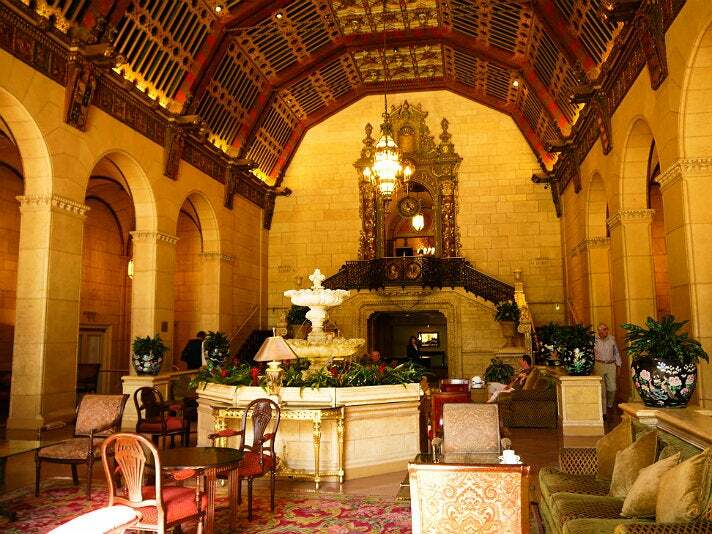 The gilded space, which formerly served as the property’s lobby and is now a tea room and gathering place, has been featured in countless productions. 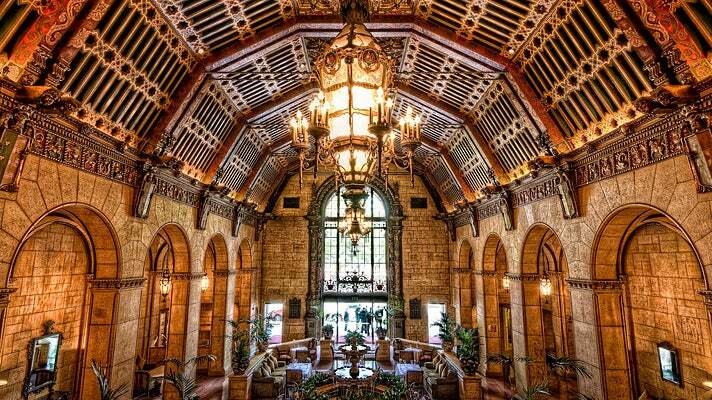 Eddie Murphy checked in there at the beginning of Beverly Hills Cop. So did Tom Hanks and his boisterous friends in Bachelor Party. Revenge, Glee, Blow, 24 and Daredevil have also made use of the grand room. Though a newscaster admonishes some Angelenos for firing guns at the alien spacecraft, not all city denizens are opposed to the otherworldly visitors. It is on the roof of the U.S. Bank Tower, currently the West Coast’s tallest building, that Tiffany (Kiersten Warren) and fellow alienphiles hoping for a close encounter gather to welcome the extraterrestrials. The aliens don’t return the favor, though, and the U.S. Bank Tower is the first structure to be destroyed in the flick. An 18x7-foot scale model of the top third of the edifice was created and then blown up for the scene in the now defunct Building 35 at Hughes Airport (where all of the ID4 models were constructed). 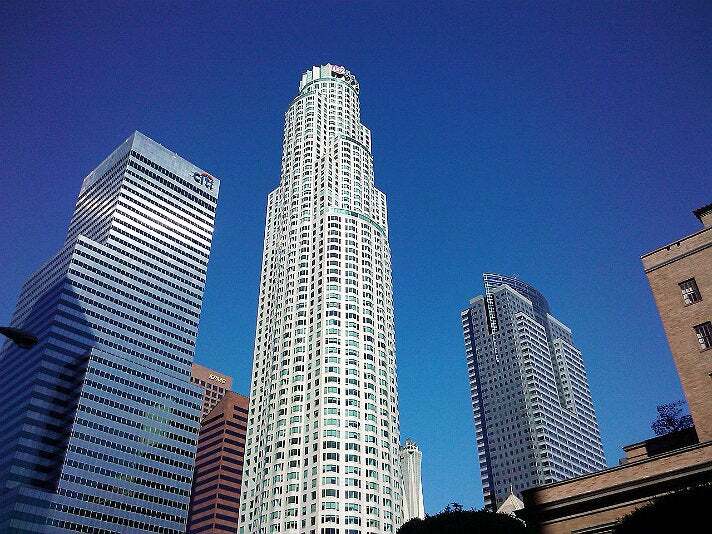 The U.S. Bank Tower, which was designed by Henry N. Cobb in 1989, suffers a similar fate in several other disaster flicks, including 2012, San Andreas, The Day After Tomorrow, and D-War. In real life, the 73-story, 1,018-foot structure still towers over Grand Avenue in Downtown L.A. Its reign as the tallest building west of the Mississippi will soon be over, though, once construction of the new Wilshire Grand Center is completed in 2017. U.S. Bank Tower has another claim to fame – the new OUE Skyspace LA, which opened in June 2016 and is California’s tallest open-air observation deck. The highlight of the new attraction is Skyslide, an outdoor glass slide that runs from the building's 70th floor to the 69th. Perched 1,000 feet above the street, the transparent, glass-bottomed chute is not for the weak of heart. As the alien attack commences, Jasmine Dubrow (Vivica A. 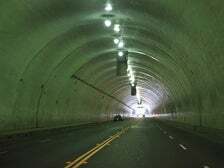 Fox) her son, Dylan (Ross Bagley), and their dog, Boomer find themselves stuck in traffic at the entrance to a Downtown L.A. tunnel. Using a bit of ingenuity, they outrun the fireball unleashed by the spacecraft, head into the tunnel, and find shelter inside a maintenance room. 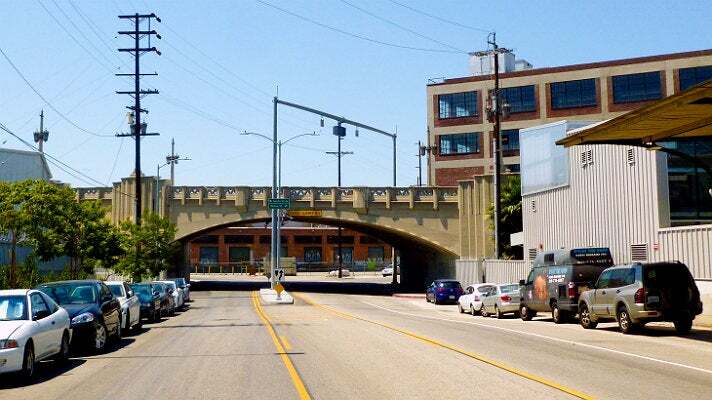 The harrowing scene took place on the Hill Street side of the 2nd Street Tunnel, one of L.A.’s most popular filming locations. 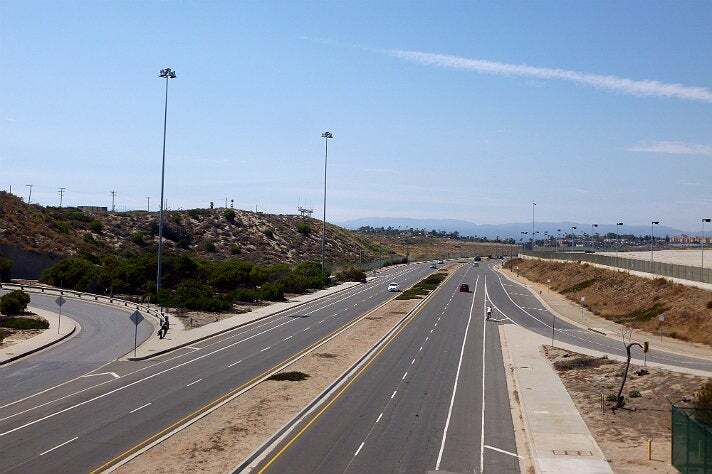 Countless productions have utilized the picturesque, white-tiled 1,500-foot stretch of enclosed road, including Lethal Weapon 2, Con Air and Transformers. 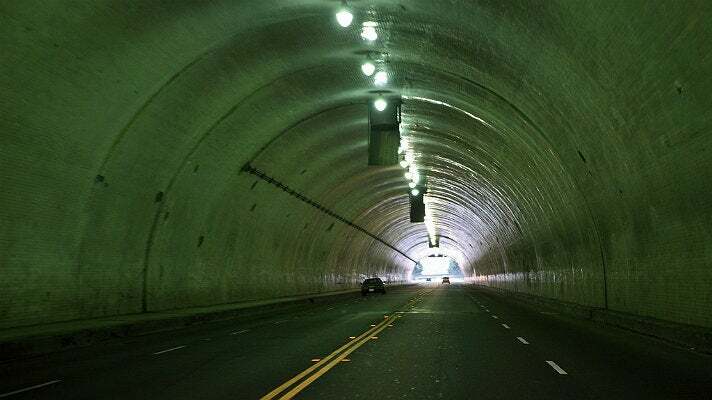 Filming of the post-attack sequences, in which Jasmine witnesses the mass destruction of Los Angeles and also rescues the First Lady, were lensed 50 miles away from the tunnel at the now defunct Kaiser Steel Mill in Fontana. A terrorized and helpless group of Angelenos watch stunned from under a Santa Monica Freeway overpass as the alien spaceship opens its hatch above the streets of Los Angeles and unleashes a beam of destruction that destroys the city below in record time. In a matter of seconds, cars are toppling through the air towards the group, leaving havoc in their wake. 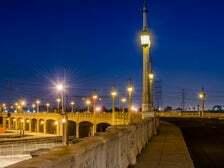 That scene was lensed on South Santa Fe Avenue in Downtown L.A.’s Arts District, with a portion of the 4th Street Bridge (known formally as the 4th Street Viaduct) dressed with freeway signage to masquerade as the overpass. The picturesque Beaux Arts/Gothic Revival-style bridge, which was built in 1931, is a frequent host to film shoots. Fear the Walking Dead and Repo Man both shot segments on the structure, while portions of the drag racing sequence from Grease were lensed underneath it. 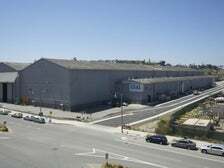 Situated just north of Los Angeles International Airport, the Hercules Campus at Playa Vista is a former aircraft production plant that was once owned by Howard Hughes. Known as the headquarters of the Hughes Aircraft Company (HAC), the sprawling 28-acre facility, which was constructed in 1941 and originally spanned 260 acres, was comprised of offices, warehouses and airplane hangars. HAC is best known as the site where the legendary Spruce Goose (aka the "Flying Boat" and formally known as the Hughes H-4 Hercules) was built. After being shuttered in the 1990s, much of the land was sold off and razed. Eleven of the buildings were left intact. 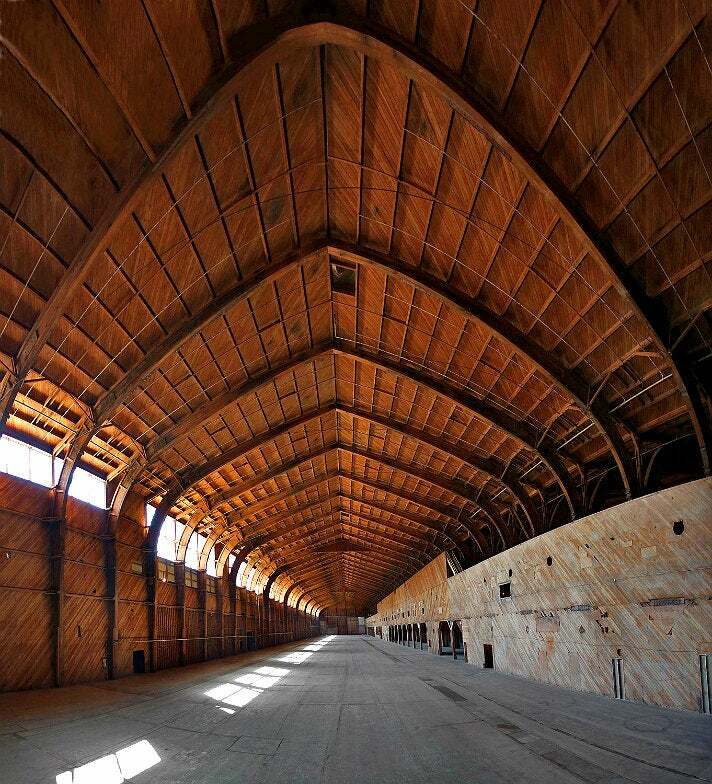 Several were converted into sound stages and the property began to be utilized regularly for filming. The vast majority of Independence Day was lensed at HAC. Not only were a few of the complex’s office spaces used in the shoot - one of the offices masked as the Compact Cable facility where Jeff Goldblum's character, David Levinson works - but the bulk of the movie’s interior sets were constructed in Building 15, where the Spruce Goose was built. The massive seven-story, 742-foot-long hangar housed the entire Area 51 base, the White House interiors, the Search for Extraterrestrial Intelligence Institute, and the Pentagon’s Space Command facility. Independence Day’s most iconic scene was shot just outside of Building 15. In the parking lot located just east of the hangar, an intricate 1:12 scale, 14x5-foot plaster model of the White House was blown up in spectacular fashion. The hovering alien spaceship and its deadly light beam were added in post-production, creating one of the most iconic images in movie history. The scene in which David and his father, Julius (Judd Hirsch) arrive at the White House at the beginning of the film was also shot at the same spot, using the same scale model and a bit of forced perspective. Other films lensed at HAC include Swing Shift, Transformers, Avatar and Eagle Eye. Today, the property is owned by The Ratkovich Company, which purchased the 28-acre site in October 2010 and transformed HAC into an innovative, state of the art office and production complex. Many of the Southern California locales featured in Independence Day can be found near Los Angeles International Airport (LAX). The bungalow where Jasmine and Captain Steven Hiller (Will Smith) live is one such location. 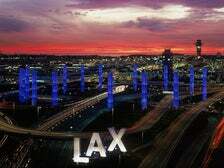 (Jet Strip, the club where Jasmine worked, is located at 10624 Hawthorne Blvd in nearby Lennox). 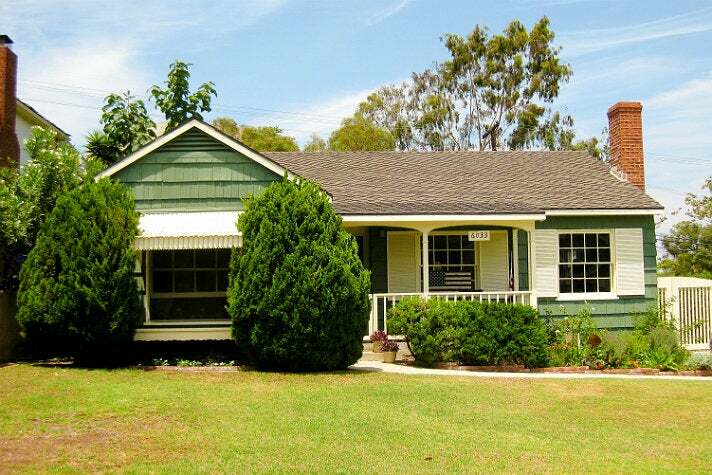 The charming 3-bedroom, 1-bath home is located 2.5 miles north of LAX, on a quiet suburban street in Westchester. 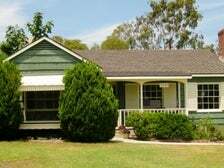 Despite the passage of 20 years, the one-story green-shingled property still looks exactly the same today as it did when it first appeared on silver screens across the country in July 1996. The view, though, is markedly different. While it appears to overlook Downtown L.A. in the movie, in real life the Los Angeles skyline is not visible from the Dubrow/Hiller home - CGI was employed to create that dizzying effect. “Everyone in the world is trying to get out of Washington. We’re the only schmucks trying to get in.” So says Julius as he and David drive from New York to D.C. in order to warn David’s ex-wife, Constance Spano (Margaret Colin), of the impending alien attack. The driving segments were not lensed anywhere near Washington, New York, or on the East Coast at all, but on a curved stretch of road adjacent to LAX. Both the scene in which father and son leave the Big Apple and the scene in which they arrive at the outskirts of D.C. were shot in Westchester on South Pershing Drive, just north of World Way West, with the camera looking north. Each city’s skyline was later added into the background of the segments via CGI to mask the open expanse of land that Pershing Drive actually overlooks. An alternate scene in which Julius almost gets into a car accident with oncoming traffic, which can be viewed on the extended version of ID4, was also shot on the same stretch of road. Once David convinces President Whitmore that the aliens’ intentions are sinister, the president immediately vacates the White House along with his daughter and several members of his executive staff. 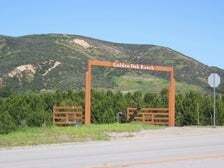 The evacuation sequence was lensed late at night on the grounds of Golden Oak Ranch in the Newhall community of Santa Clarita. For the shoot, a rudimentary section of both the interior and exterior of the White House was constructed in one of the property’s open fields, with a waiting helicopter parked outside. 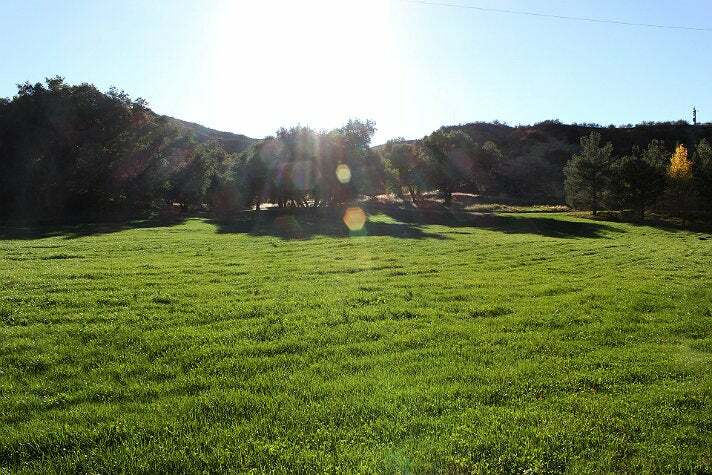 The 890-acre Golden Oak Ranch is owned by The Walt Disney Company, which originally began leasing the site in the 1950s for the filming of The Adventures of Spin and Marty. In 1959, Disney purchased the facility and it has since starred in hundreds of productions. Golden Oak Ranch is where the Peabody Barn sequences from Back to the Future took place, as well as the wedding of Patrick Jane (Simon Baker) and Teresa Lisbon (Robin Tunney) in the series finale of The Mentalist, and the neighborhood Christmas light scene in the Season 1 episode of New Girl titled “The 23rd.” NOTE: the ranch is private and tours are not offered at this time.